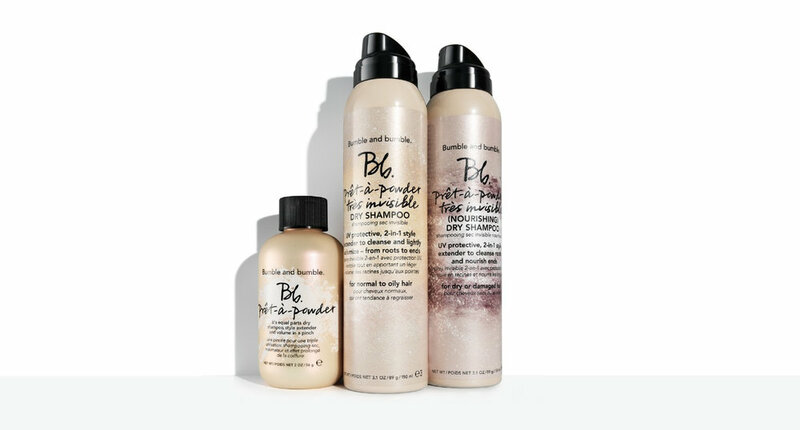 Bumble and Bumble extended their Prêt-à-powder line to include two new dry shampoos and they are perfection. Give your three-day-old dirty hair life again with Prêt-à-powder Très Invisible Dry Shampoo or Prêt-à-powder Très Invisible (Nourishing) Dry Shampoo. These new products are an invisible, 2-in-1 style extender that cleanses while adding volume from roots to ends. 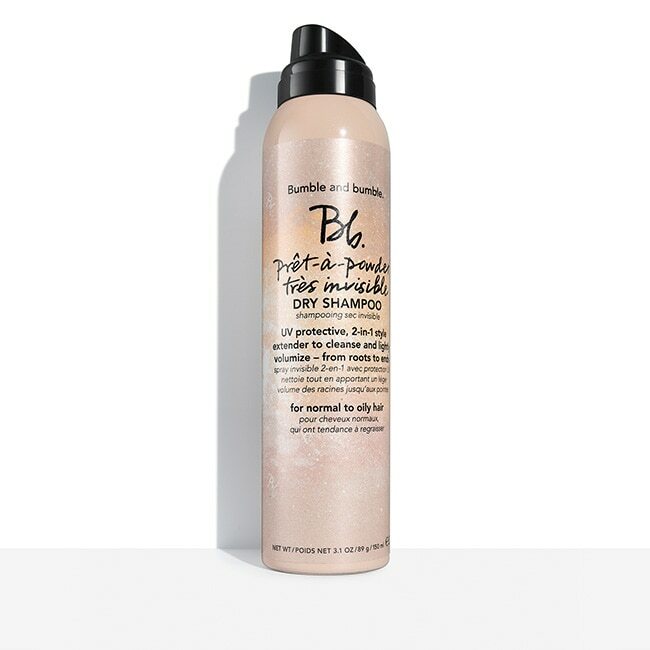 Formulated with French Pink Clay, this dry shampoo absorbs oil and sweat from roots to ends, leaving strands lightly scented – with no trace of white residue. UV filters that help protect against the drying effects of the sun are added. Formulated with Hibiscus Extract, this dry shampoo absorbs oil at the root, while nourishing dry ends. Strands are left lightly scented – with no trace of white residue. UV filters help protect against the drying effects of the sun. Check out our Facebook page to watch an awesome video where you learn just how well this new dry shampoo stands up to others! Otherwise come in and try it out for yourself!